… Turns out I was actually ill yesterday when I struggled with my run and cycle. Biked into work today feeling a bit groggy, only to go down hill pretty fast literally then figuratively as I only got iller and iller.. 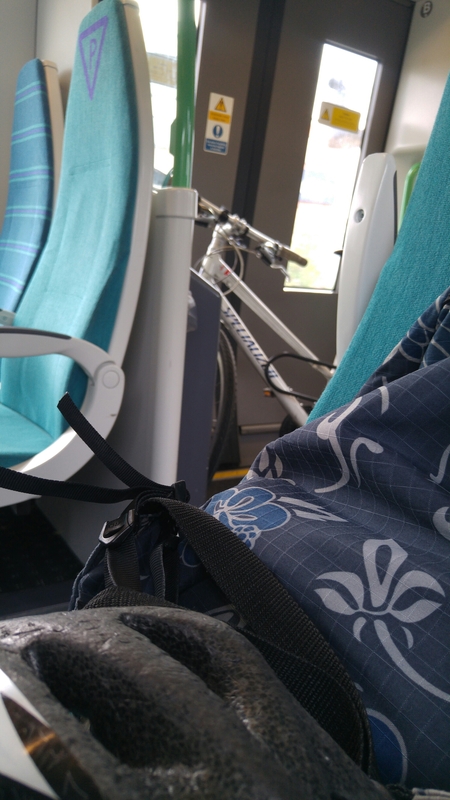 I left work early so I could get my bike home on the train before rush hour. So here he is, travelling faster than he ever has before! And here I am, in bed since about half four. Night night!